← What must I do to grow my business? As a beginner in internet marketing, you tend to confuse these two marketing strategies. Are they the same? So, let me clear your doubt on this question – is affiliate marketing the same as network marketing? Let’s take a look at the definition from the web on these 2 marketing strategies. 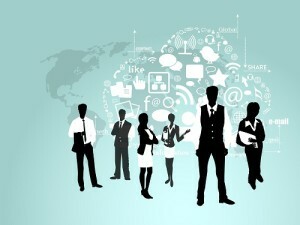 Network marketing is way of doing business in which a sales force earns a commission not only for sales of products and services they personally generate, but also for the sales of others they recruit and bring into the business, which creates a down-line of distributors and a hierarchy of multiple leveraged levels of compensation. Wow, what a mouthful of words in the sentence that you cannot figure out whether they are the same or not, right? Ok, let’s go into details and make it much simple for you to understand as a beginner. Everyone is familiar with Amazon and they have a lot of products online. When you promote and sell Amazon’s products to earn a commission, then you are an affiliate marketer for Amazon. There are many affiliate programs in the internet. To name a few that are related to my website are Clickbank, TripleClicks and Wealthy Affiliate. So, this is simply affiliate marketing. Network marketing is not actually the marketing of products or services although there is always a product and service involved. Network marketing is the building of a sale team. You earn a small commission from the recruiting and sales efforts of the entire team. For example, you will always see this written in some of the offer “Pay 10% Referral Commission”. It means that when you get a sign-up, you are paid 10% commission when they joined or upgrade. They become your affiliates. And when your affiliates also do the same as what you are doing, then you will earn extra commission from their efforts. This will go on and on depending on how many levels of affiliates that the program allows. That’s why network marketing can also be known as MLM (multi-level marketing). These commissions can be residual income (on-going monthly commission) as long as the affiliates remain active to the program. SFI is one example of network marketing in this website. In other words, affiliate marketing is like a salesman selling the product himself whereas network marketing (or MLM) is like a sales team leader with a team of salesmen under him, selling the product to recruit new members. What is the difference between the 2 marketing strategies? If you are an affiliate marketer, you have to be as detailed and specific as possible because you are marketing a product and you want people to buy the product. In addition, it is consider as direct sale transaction which means there are no on-going commissions once the sale is completed. Whereas for network marketing, your business depends on the success of your affiliates so you MUST be careful on what you do and TEACH them. Always keep the basics simple and easily duplicable. Because those new affiliates that are going to join are mostly new to this business so if you make it too complicated for them then they might not be able to pick it up and they will fall behind, get discouraged and probably give up. This might be one of the reason why 97% fail online. So, focus your efforts and expertise on the basics with duplication in mind and continuously reinforce them to your team. In this way, you will soon see significant growth in your success and income (on-going monthly commission). That you need to evaluate your expertise and skill level. If you choose to be an affiliate marketer, then you need to be very skilful in sales techniques. If you want to be a network marketer, then you must have mentoring, leadership and team-building skills. Usually, most beginners will start with affiliate marketing. Once they have success in affiliate marketing, then they will move on to network marketing. Now that you know affiliate marketing and network marketing are not the same, you are ready to select the one that you are comfortable with, depending on what your skill level and your expertise are. My advise is to start with affiliate marketing if you are totally new to online marketing because it is easy to learn. What do you think about this article? If you have any questions about any of the material within the article, leave your comment below.